So remember on Star Trek how they had the Replicators and any food or drink they wanted could be created from thin air? 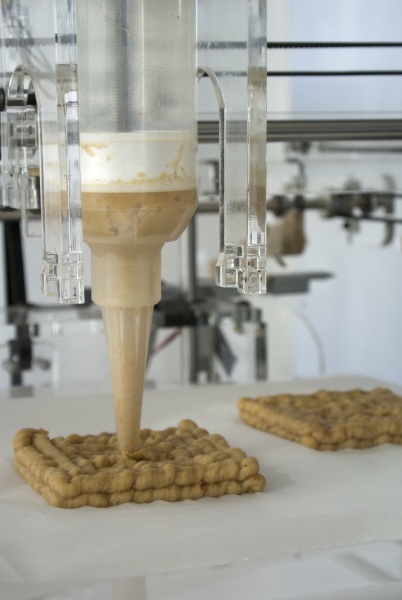 Natural Machines is getting one step closer to that glorious future with the Foodini, a 3D printer that creates completely edible foods. That’s right. 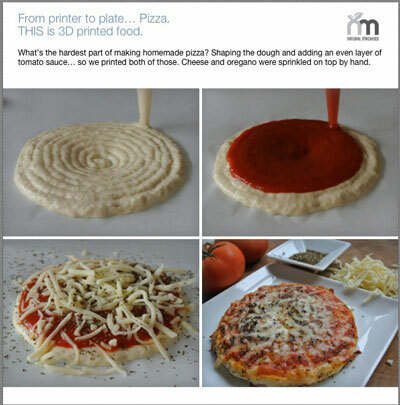 It 3D prints food. 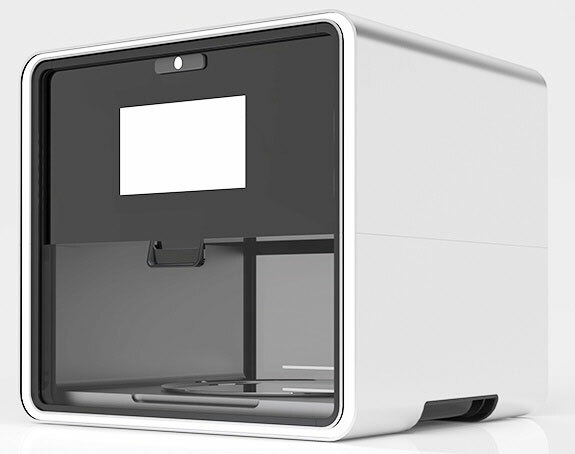 We’ve seen printers that could create soft gel like creations, or decorate cakes. Those are not this. This isn’t going to beautifully craft frosting, but instead it can make ravioli. Or chicken nuggets. Or cookies! Actual real people food. Now it doesn’t cook them, so it’s not perfect, but it does use real food (not artificial gloop), and it will be able to handle quite complex recipes. It may not quite be Star Trek yet, but it’s so close you can taste it! Also unlike Star Trek, it doesn’t use your waste to create the food. Instead you use pre-loaded capsules that dish out your basic ingredients, which you can also make yourself with a food processor. You may still have to hand prepare some parts of the meal, for example in their demo they added the toppings to their own pizza. But the Foodini isn’t about automating the entire process. It’s more about bringing joy back to cooking without creating a mess. The Foodini is set for a limited production run at the end of this year and a full run in the first half of next year. It will cost around €1,000.